At the bottom of the ocean, a mysterious sphere has been found. Nobody knows where it's come from or its purpose here on Earth. One thing is known, though. It takes the human mind and twists it, warps it, and changes it. Now, an entire deep-sea mining facility has been corrupted. Will you survive the madness? 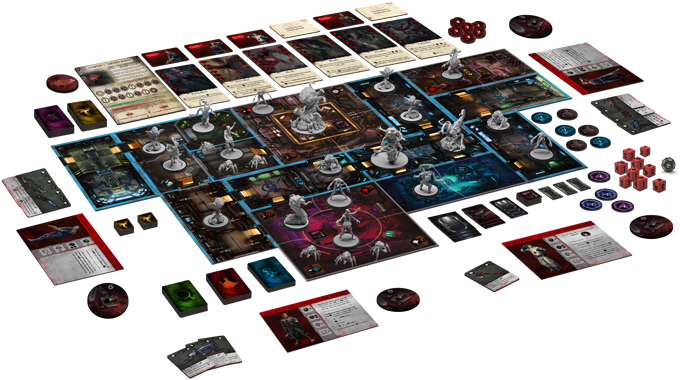 That's the story behind Deep Madness, the new cooperative horror board game from Diemension Games that's up on Kickstarter now. The game is for 1-6 players. You'll take on the role of investigators trying to find out what's going on with the sphere and how to overcome its effects (if there are any ways, that is). The game is played over the course of several scenarios, each building off of the last. You'll have to not only keep an eye on your health, but also your sanity as you venture further into the facility. As things get worse, the board pieces will flip over, showing what sort of damage has been done by the sphere's presence. Lose your mind and you certainly won't make it out alive. The Kickstarter campaign just launched earlier today, but they're already over their funding goal. 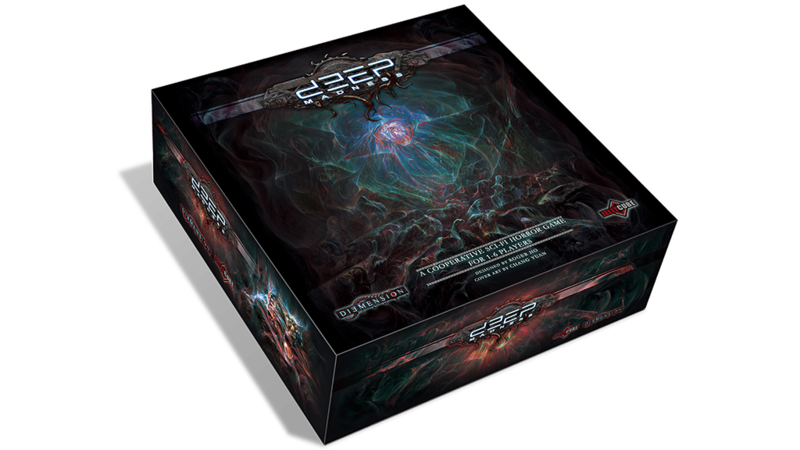 As such, it's on to breaking through stretch goals for the next 28 days.